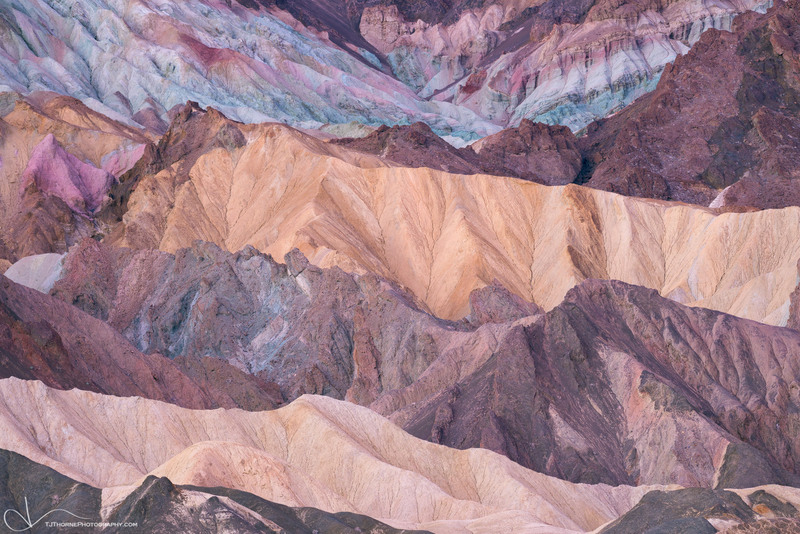 Pastel badlands bathed in pre-dawn light in Death Valley National Park. Premium Limited Edition Fine Art Lumachrome Prints are the epitome of elegance and quality. 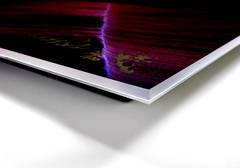 By face mounting the print to 1/8" thick scratch-resistant, non-reflective crystal clear acrylic and backing it with a protective surface and a 1.3" rear mounted frame, the print seemingly floats from the wall. The proprietary Lumachrome process in combination with the acrylic facing gives a depth, dimensionality, and glow to the image which is unmatched and needs to be seen to believed. These pieces are museum quality, absolutely stunning, and truly a collectors piece. Premium Fine Art Lumachrome Prints are ideal for galleries or private homes and with the proper lighting will take on a luminance that brings the photo to life. While these ready-to-hang pieces offer a modern, sleek, and clean appearance, traditional framing is also available and can be discussed one-on-one to pick the most appropriate frame for your piece. Shipping is included to locations within the United States. Please contact me for a shipping quote if you will have your purchase shipped elsewhere. To learn more about my prints, please visit my Prints page. If you are looking for a piece that combines durability with a modern and elegant look, I offer Premium Limited Edition Fine Art Metal Prints. 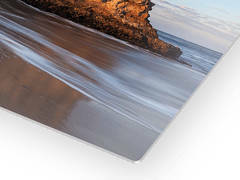 Using a state-of-the-art process, the image is infused directly into the surface of specially coated aluminum which creates a scratch and fade resistant piece that is ready to hang without a frame. Metal prints contain a tremendous amount of depth, detail, and sharpness that will be sure to draw the viewer in. Since the image is fused directly into the aluminum, the resulting piece is scratch and water resistant and will resist fading or yellowing over time while at the same time being easy to clean. These are the ideal for offices and public spaces due to their durability. Please allow 2-3 weeks for production and delivery. Loose Premium Limited Edition Fine Art Prints are made using the amazing Fujiflex Crystal Archive Silver-halide Paper, which features superior color, contrast, tonal range, and saturation. This polyester based paper makes the prints more vivid and dimensional. The colors are rich, deep, and unlike any photographic print you have seen before. It is truly top of the line, exhibition quality paper that will last a lifetime. If you are looking for full-service framing options, I am happy to work with you on your needs. Please note that these prints require framing before display. I am happy to work with you on your framing needs. Please contact me to do so. For ready-to-hang options, please consider my Lumachrome Acrylic Face Mounted or Chromaluxe Metal Prints. Please allow 1-2 weeks for production and delivery.